Born at the turn of the century in Serai, Lithuania, Gootie Goodstein spent her earliest days growing up in a small village until World War I. At this time she fled from the Germans to join her husband in Grand Rapids, Michigan, where he had already settled in as a successful baker. An American version of Fiddler on the Roof, Max Apple spins a wonderful tale of his grandmother's life. How she learned to love American classics like "I Love Lucy". How she settled her brother's marital problems with his wife. How she encouraged Max to forget about college and go into retailing. 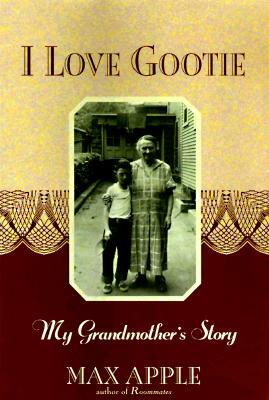 Gootie is a simple women with an intricate imagination. She tells of stories from the past in Lithuania, but she colors the tales with characters from the present. Through these true stories we have a powerful coming-of-age story built around the author's unique ability to understand this older generations. Description: First Edition Hard Cover. Brand new book. Ships same or next day.